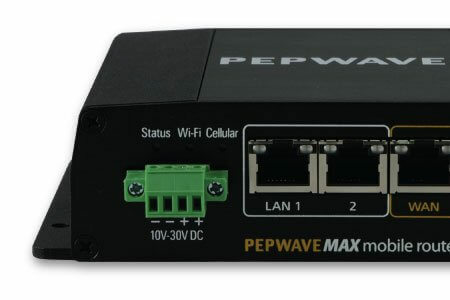 Pepwave Max BR1-LTE Farm Outbuilding 4G Wifi MIMO System is built to last and made to the highest standards. Use the system on your Yacht, Powerboat, Canal Boat, Caravan, Horse box, Motor Home and have your own personal high speed hotspot. 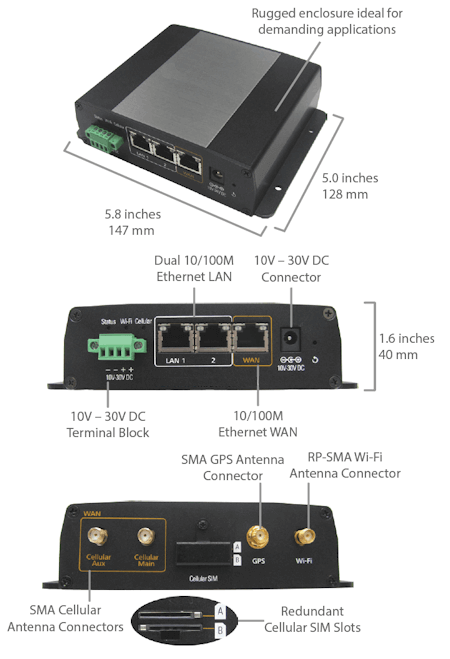 Featuring an Industrial grade router and one compact MIMO antenna combining 2x 4G, 2x Wifi and 1x GPS antennas in one small package. Worldwide installation available. Contact us now. The Pepwave Max BR1-LTE Farm Outbuilding 4G Wifi MIMO System is built to last and made to the highest standards. Use the system on your Yacht, Powerboat, Canal Boat, Caravan, Horse box, Motor Home, Farm Outbuilding and have your own personal high speed hotspot. 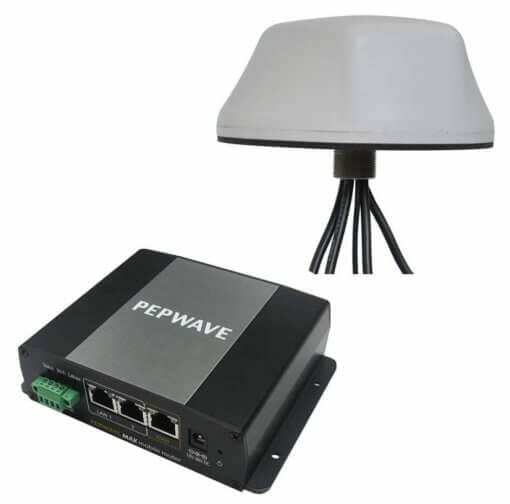 Featuring the Pepwave Max BR1-LTE an Industrial grade router and one compact MIMO antenna combining 2x 4G, 2x Wifi and 1x GPS antennas in one small package. 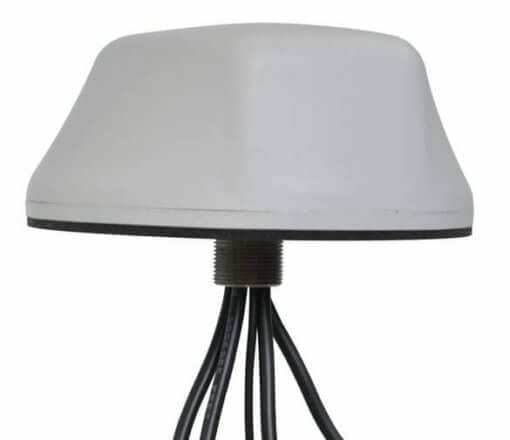 Installation is easy, the Pepwave Max BR1-LTE accepts 10-30V DC and the Antenna includes 4.5m cable tails. 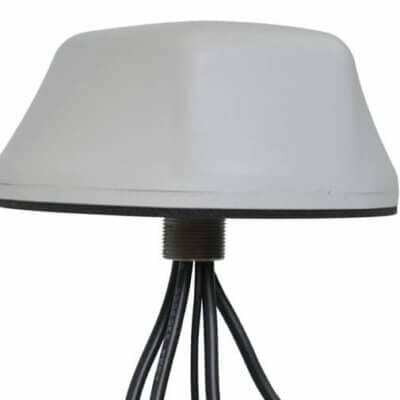 The compact antenna measures only 140mm diameter and 60mm high and can be deck, bracket or pole mounted. Once installed simply insert your 4G simcard and the system will configure the correct settings for you. The Wifi network name and password are supplied with the unit pre configured ready for you to connect and start using the network. The system is also backed up by a comprehensive 12 month warranty including remote access and support. Cut complexity with an integrated modem that will find the settings for your sim card automatically. Automatically switch between Ethernet WAN, Wi-Fi as WAN and 4G LTE/3G links to keep your WAN up and running at all times. Versatile Input Voltage. Redundant Power Supply. The Aqua Premium supports a wide input range of 10V – 30V DC. It also keeps the current and your work uninterrupted with a built-in terminal block that can be used in tandem with the Aqua’s DC connector to give you high availability power you can depend on. Dual Ethernet LAN ports mean you don’t have to worry about external switches and power supplies or unnecessary maintenance and setup hassles, even if your work requires two LAN ports. Cloud and local administration options let you manage all your settings from one intuitive interface. 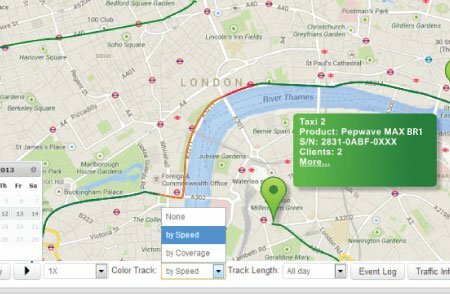 Built-in GPS lets you keep tabs on your vessel. No need for extra antennas, the supplied MIMO antenna includes a GPS aerial making installation simple and easy. Built to withstand temperatures from -40° to 65°C and featuring ESD/surge protection for all ports, designed for worry-free performance wherever your work takes you. The antenna contains five separate antennas, all in one compact antenna housing: two LTE 694-3700 MHz & Cellular antennas, two dual-band WiFi antennas, and one GPS antenna. 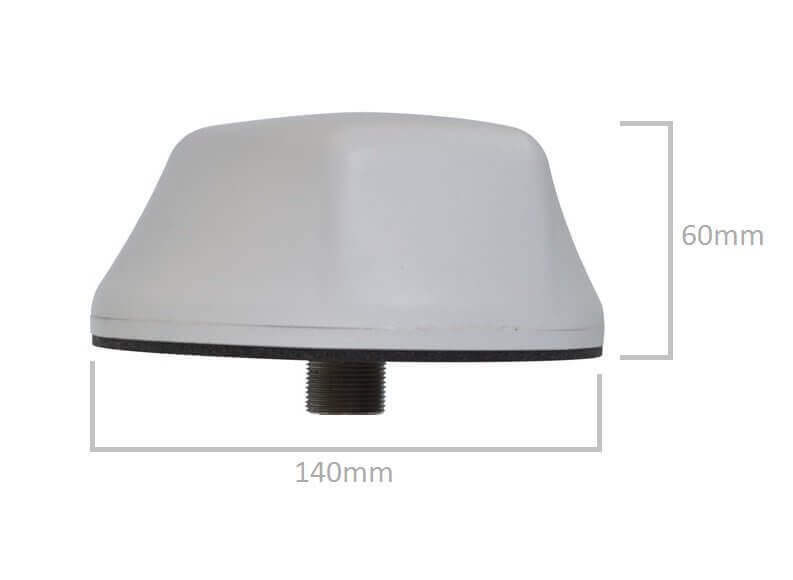 Measuring only 140mm diameter and 60mm high the antenna takes up significantly less space than multiple antennas and cut down on installation time and costs by offering a single mounting hole. *Peak data speeds are network and provider dependant and speeds shown are maximum achievable through LTE standard.